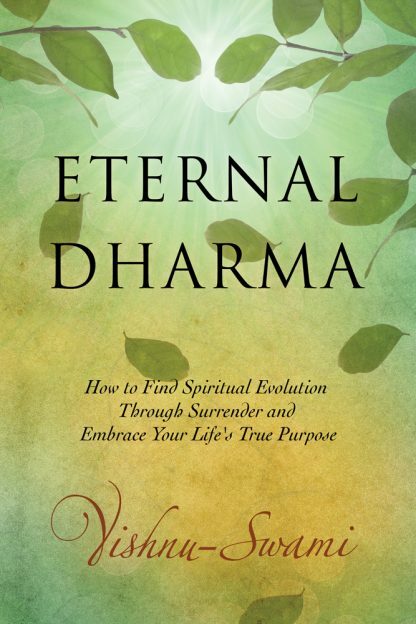 "Whether you�re looking to jumpstart your spiritual journey, or are looking for an inspiring and thought-provoking new book to read, Eternal Dharma is an excellent spiritual guide for both mind and soul." "We launched some of the best titles in the world�Chicken Soup for the Soul, The Secret, Rich Dad Poor Dad, Men Are From Mars�I can't count them all. We've broken the Guinness Book of Records six times and Vishnu Swami has written something internally that is going to bring a transformation to you that's like Uncle Ben's Minute Rice; you're going to set the timer on your microwave oven, read through these pages, and you're going to have an eternal shift that is going to forever change you.